Geert Wilders Down Under: Fear doesn’t need a visa, and it’s on tour already — 1389 Blog - Counterjihad! Two of the films nominated for best picture in the coming Academy Awards, Argo and Zero Dark Thirty, contain warnings, with plenty of creative licence but also plenty of historical accuracy, about the challenge to democracy posed by a resurgent strain of uncompromising Islam. 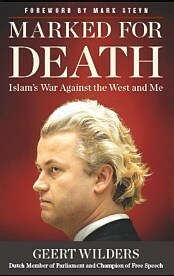 The threat has been deemed real enough in the Netherlands, which now has more than a million Muslims in a nation of 16.7 million people, for a million Dutch voters – one in seven – to vote for the Party for Freedom, led by Geert Wilders, who will be making a lecture tour in Australia later this month. “If you look at all the statistics, you see that non-Western people, often from . . . Morocco and Turkey . . . are over-represented many, many times when it comes to crime, when it comes to prison population, when it comes to illiteracy, when it comes to dependency on social benefits. All of this is contested territory. Muslims protest about being lumped in with the fundamentalist fringe. They protest, too, that traditional problems associated with immigration are conflated with Muslims. 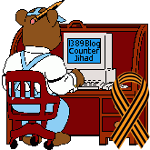 What is not contested is that a dangerous Islamic fringe is active in numerous countries. Wilders will be accompanied to Australia by five Dutch police officers. He lives under permanent 24-hour security. Fear has arrived here before him. On Wednesday, the organiser of the tour, Debbie Robinson, told me yet another venue had cancelled and there had been another act of corporate suppression directed at the tour. This follows a refusal by Westpac to allow her to set up a payment system and refusal by more than a dozen venues to host a Wilders event, citing security concerns. The first attempt at a lecture tour last year was cancelled due to visa problems. The then minister for immigration Chris Bowen delayed granting a visa until after the cancellation. The invitation said Wilders would be speaking in Melbourne on February 19, Perth on February 20 and Sydney on February 22. 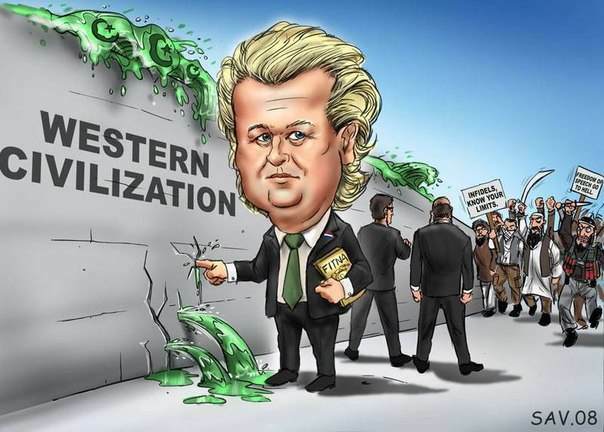 “Mr Wilders is a Dutch politician who heads the Party for Freedom, which won 10.1 per cent of votes in the Dutch House of Representatives at the September 2012 elections. Mr Wilders will be here to share his experiences on how Islam is changing the Netherlands in particular and Europe more generally. “Q Society is a volunteer, Australia-wide organisation whose charter is to educate Australians as to how Islam may change this country . . . We believe Islam is different from other religions and poorly understood . . .
Of the 830 invitations sent out, only four were accepted. The other 99.5 per cent of politicians declined or did not respond. Ayaan is not exaggerating one bit in her views. I left Belgium (more particularly Brussels) after three break-ins by “Moroccan new Belgians” in my stores. In one case when I kept them at gun point and handed them to the cops on a silver plate, Justice let them go as no blood was shed and the jails were too full…. leaving me with the clean-up, all costs and the advise to take a lawyer for my possession of a firearm. The Islam rep came loaded like a gun and it was simply vile to see how the real honorable Belgians in the debate were behaving in the all to familiar way of securing their own persona´s and interests. I attacked the Islam Rep. and so did one on of the mayors with several poignant questions and statistics until the moderator cut us off. went off in another shouting match and left. Brussels has been taken over to the extend that we now have free-zones where radical cells, all the hash, coke, xtc and automatic weapons can flourish as police refuses to patrol these formerly picturesque neighborhoods. Brussels has among the most ornate art nouveau buildings and avenues in the world. Can you picture the fact that their bathtubs are now used by new Belgians to slaughter a sheep by teaching their 12 year old sons how become a man? Wilders is probably not Pim Fortuyn and very rough at his edges.